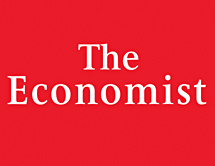 The Economist has been an influential weekly news publication since 1843 with a contemporary circulation of some 1.5 million highly educated readers. Unlike many news outlets where environmental journalism has receded, in recent years The Economist has dedicated a significant amount of its news coverage to the growing and varied challenges facing the world’s ocean and provided thoughtful analysis on the impacts to the global economy. Along with superior and consistent coverage of marine issues ranging from the Arctic to the deep seas to ports, shipping and fishing, The Economist has also convened an annual high-level “World Ocean Summit” bringing together world leaders, policymakers, innovators, businesses, science and journalism to ignite an informed dialog about creating a “blue economy” where economic opportunity and growth are balanced by responsible investment in a sustainable ocean.